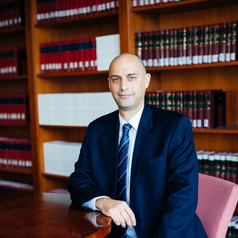 Bryan Mercurio is Professor and Vice Chancellor’s Outstanding Fellow of the Faculty of Law at the Chinese University of Hong Kong (CUHK). From 2010-14 he served as Associate Dean (Research). Prior to joining CUHK, Professor Mercurio on the faculty of the University of New South Wales (UNSW), Faculty of Law, and Director of the International Trade and Development Project at the Gilbert + Tobin Centre for Public Law. He has also worked both in government and in private practice and has advised law firms, international organizations, NGOs and several governments on a wide range of international trade and investment matters. Professor Mercurio’s expertise is in the field of international economic law, with a particular interest in the intersection between trade law and intellectual property rights. His work also frequently deals with free trade agreements, WTO dispute settlement and increasingly international investment law. He is the author of one of the most widely prescribed case books on WTO law (2012 2nd edition, Hart Publishing, with Simon Lester and Arwel Davies) and editor of the leading collection on bilateral and regional trade agreements (Cambridge University Press, 2nd ed, 2016, with Simon Lester and Lorand Bartels). He has published articles in all of the leading trade journals (some of his work is available for download at http://ssrn.com/author=346439) and was awarded of a large grant by the Hong Kong Research Grants Council to investigate the intellectual property regime as it relates to the pharmaceutical industry in Hong Kong with a view to making recommendations for regulatory amendments in line with the needs and priorities of Hong Kong (2013-2015). Professor Mercurio has taught as a visitor at the Melbourne Law School, Adelaide Law School and the University of Western Ontario and held visiting positions at institutions in Asia, Europe and the United States. He is currently a Professorial Visiting Fellow at the UNSW Faculty of Law, Senior Fellow of the Tim Fischer Centre for Global Trade & Finance and Senior Fellow at the Melbourne Law School. Professor Mercurio was a member of the founding committee and served on the inaugural Executive Board of the Society of International Economic Law (SIEL), a founding member of the SIEL Intellectual Property Law Network, a founding member of the Asian International Economic Law Network and a Member of the Asian WTO Research Network. Professor Mercurio is on the Editorial or Advisory Board of a number of journals, including the Asian Law Journal, Legal Issues of Economic Integration, The Law and Development Review, International Journal of Technoethics and Revista de Derecho Económico Internacional.